In addressing the question "Who is Jesus?" the apostles reveal how wisdom is located only in Jesus Christ. Ebert shows how Old Testament wisdom motifs are fully appropriated in New Testament Christology and far surpassed in God's Son. 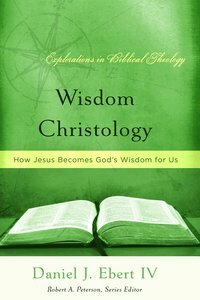 About "Wisdom Christology (Explorations In Biblical Theology Series)"